Whether you’re a working mom or stay-at-home with the kids, saving for retirement can often be put on the back burner. Between staying on budget and wanting to build college funds, finding a little extra to invest in your retirement can be a daunting task. Moms are usually the driving force in the household when things need to get done. Here are some tips for moms to avoid these common retirement planning mistakes when they’re considering their financial future. 1.Waiting to save. Start saving early so your money has time to grow. If you’re worried about sticking to your budget, start small. Even $20 a week can go a long way over time, and when your budget allows, contribute more. 2. Failing to plan. It is important to understand expenses for the type of lifestyle you want, so you can save enough money. Figure out what your retirement goals are, and start planning your retirement finances now. There are helpful interactive calculators that can help you determine how much you will need in retirement. 3. Saving for college before retirement. Moms want the best for their children, but there are many factors when deciding which savings take priority. Consider this: Your kids have access to loans and scholarships to help pay for college, but if you don’t save enough money for retirement, you may not be able to afford your expenses. (1) You could also have separate savings for college and retirement, and contribute to both. Even if you’re contributing less to each than you would like, the longer the money is in the account, the more the interest will accumulate. 4. Retiring with a lot of debt. Find a way to pay down or pay off consumer, student loan, and mortgage debt before you retire. These recurring payments will be harder to make when you’re on a fixed income. 5. Relying on Social Security. Your Social Security benefits are a valuable source of income during retirement, but with an average benefit of just $1,269 in June of 2013,(2) it is unlikely that Social Security will be able to cover all your retirement expenses. Before you retire, visit www.socialsecurity.gov to find out what benefits you should plan for. 6. Failing to research options to increase your savings. The key to growing your retirement fund is balancing risk and reward. Look into different options and how they could fit your retirement goals. If you want a low-risk option, check out fixed indexed annuities (FIAs) at www.FIAinsights.org. Market-driven options like mutual funds or securities have higher risk, but also the potential to really increase your savings. You can research a variety of retirement plans on the IRS website. 8. 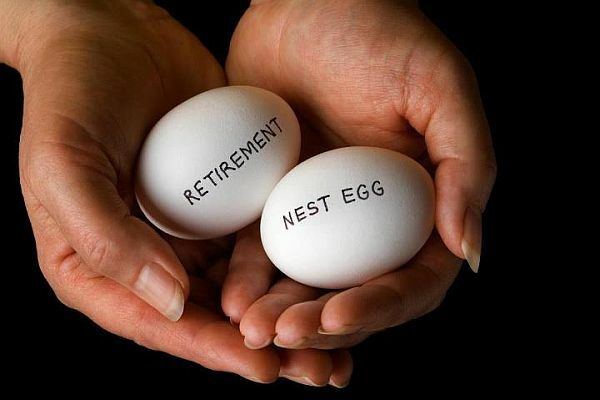 Using your retirement funds before retiring. Let the money in your retirement fund grow, and if you need money earlier, consider other sources. It is harder to save the closer you get to retirement, and many retirement accounts have steep penalties for withdrawing early. 9. Failure to plan for taxes. Keep in mind that you will still have to pay taxes after leaving the workforce. Plan ahead so you’ll have enough money to pay your taxes as well as enjoy your retirement. 10. Depending on a specific retirement age. You may plan to work until you’re age 65, but sometimes unexpected circumstances alter your retirement plans. That is why it is important to start saving for retirement early, so you won’t be short of your retirement goals if you are unable to work earlier than expected.